Purging. 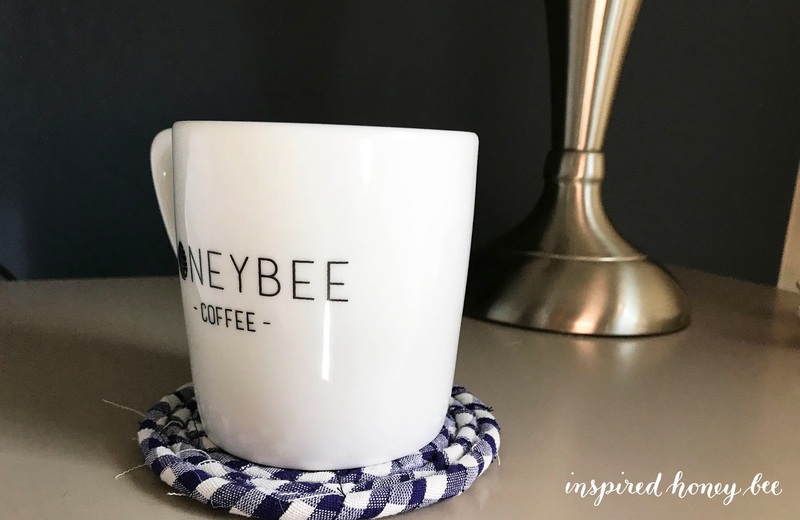 I've talked about it before, and I'm always looking for a new project that can create something useful with the overflow of materials in my craft room. I even have loads of Pinterest pins just waiting to accomplish exactly these goals! 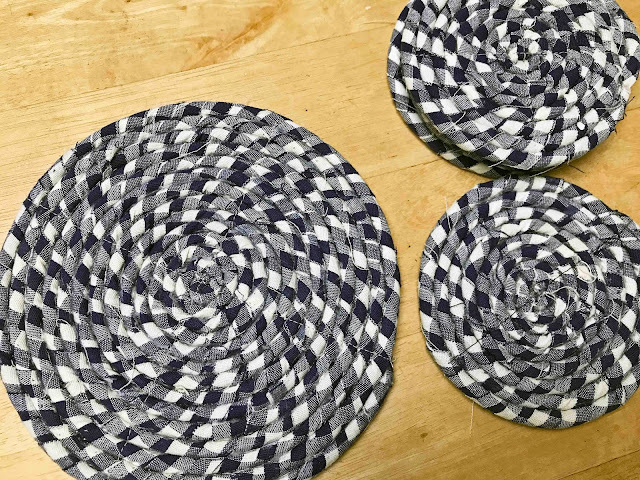 Here's a good - and easy - project that cleared out fabric (did I mention that I'm a hoarder?). 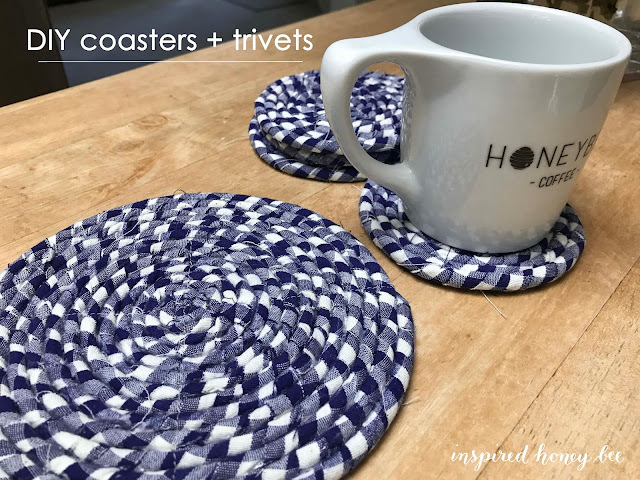 With less than a yard of fabric, laundry rope, hot glue gun and sewing machine, I had enough to create four coasters and a trivet. 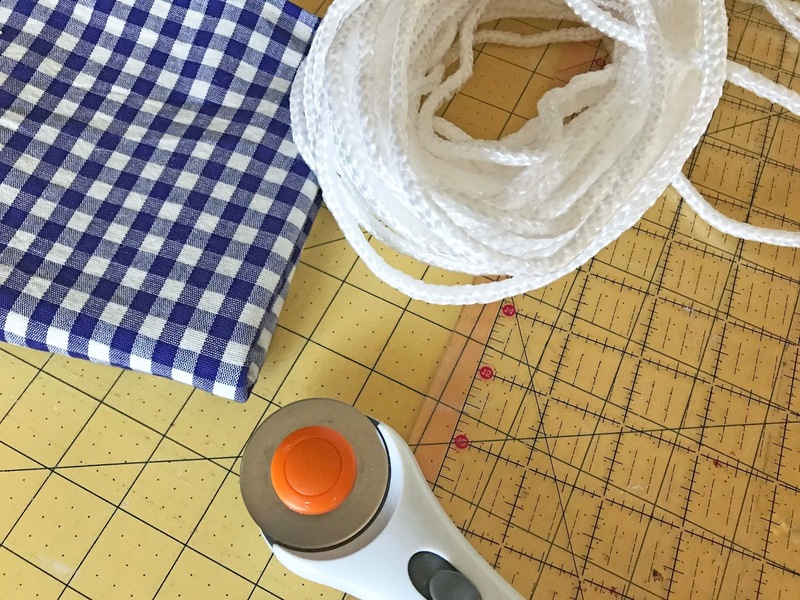 First, cut your fabric in 1-inch strips using a cutting board (like the one above) or with scissors. The great thing about this project is that it doesn't have to be perfect because you're wrapping that fabric around the rope. The online directions tell you to sew the ropes together but that was proving to be a challenge. Instead, I coiled the rope and hot-glued it together. Round and round and round. Once finished, I used the sewing machine to create a (+) and flatten the coasters and trivet. Super easy, right? Both projects are in their new home in the mountains. Create a set as a housewarming or hostess gift while clearing out that fabric you so badly wanted to use for a completely different project.